Continuum’s global spend under management is large and growing, resulting in increased buying power and deepened market knowledge. This leverage combined with our collaborative approach, print expertise, certified network of over 350 suppliers, allows Continuum to become a true extension of your business helping you maintain cost competitiveness, and ensuring brand continuity as you turn your focus on core. Ready to learn more about us? Get in touch. comprehensive print sourcing, production and management solution that allows us to become a true extension of your organization, providing complete transparency, increased visibility and control. 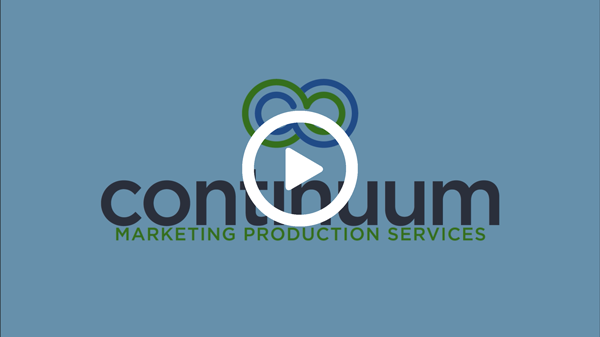 Learn in detail how Continuum helps its clients through custom print production, packaging capabilities and programs and supply chain solutions. 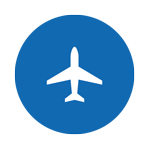 A major airline sought to extend a program’s budget in a way that would maintain design integrity while reducing costs for the reinvestment of savings into additional marketing campaigns. Continuum examined the characteristics of the control and vetted the previously quoted cost structure through their supply chain. The result realized an immediate 12% net procurement savings without changing anything. Additionally, our on-site team engineered a series of innovations that included simple yet methodical modifications to the control, which reduced costs without compromising the integrity of the design. Continuum achieved a 19.25% savings on this program. As a result, the modifications will deliver an annual projected savings of almost $1 million. At a high-end outdoor retailer’s company, individual departments were responsible for their area’s print and secondary packaging procurement and management. As the retailer grew, this decentralized approach led to several challenges. Upon engagement, Continuum conducted an assessment and then developed a tailored print management solution to address the company-wide print and packaging spend. you before you invest in us. Our customized print management solutions deliver real cost savings, optimize human resources and increase transparency in the print and fulfillment process. 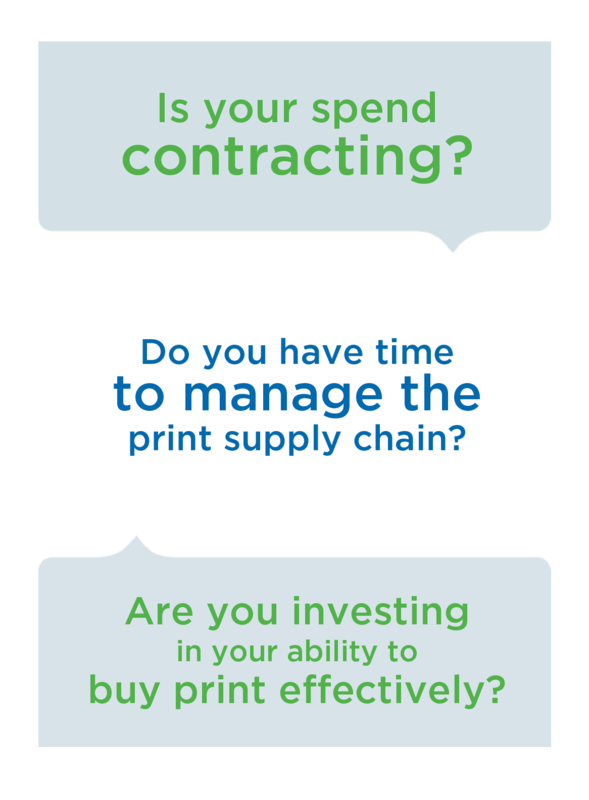 To achieve this, we invest the time necessary to truly understand your business and current print situation. In a successful partnership, Continuum absorbs the cost. Our comprehensive opportunity assessment incorporates both a qualitative and quantitative focus. We meet with key departments and personnel; collect print production data, job specifications and pricing elements; and have a dialogue around unique business goals, pain points and cultural nuances. Next, with your input, we develop a custom solution and implementation plan based on the pre-stated goals and savings targets which we present to you and your executive team. Lastly, we launch your custom print management solution. We become your company’s embedded print management partner, overseeing and implementing your print management function. help drive top line growth. We do this through a fully transparent, open-book business model, with mutually-aligned economic incentives. We own no manufacturing assets but instead, we have a vendor network of approximately 350 suppliers. This allows us the capability to produce 100% of our client’s print and brand packaging needs across any region or country. 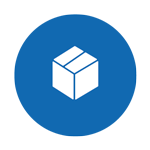 Continuum is responsible for the quality and delivery of the products we produce inclusive of fulfillment and distribution. Continuum is a division of LSC Communications (NYSE:LKSD). Jonathan is responsible for establishing the strategic plan and goals for the business and leading the operational execution. He promotes and drives the company’s customer-first reputation and leverages his extensive operational and solutioning experience to help clients realize measurable and sustainable value on this enterprise spend category. Prior to Continuum, Jonathan served as Senior Vice President of Operations at InnerWorkings, Inc. For over 10 years, Jonathan held various management roles at Domtar Corporation, a global paper company, before serving as its Vice President and Division Manager. Marc has primary responsibility for the growth of Continuum’s print management division by establishing new partnerships with Fortune 1000 companies. He has a reputation as a true pioneer in the field as he was among one of the first in the industry to help form and create a new market, creating efficiencies for major corporations through the outsourcing of marketing production spend and its associated services. Marc has over 25 years in the BPO space, with comprehensive hands-on experience in all aspects of business development, target marketing, key account and territory management, alliance and partner development, sales policy and business planning, business plan development, sales leadership, as well as being a mentor and coach. As Director of Account Operations, Sue knows how to improve efficiency, communication and costs on print expenditures. A proven leader in magazine, book and promotiom production, Sue's experience extends over 25 years. Her outstanding skills include strategically maximizing system efficiency and forseeing production details to ensure a smooth program. Sue manages and mentors both onsite and remote client service teams with a keen eye toward improving value, productivity and growth oppurtunities. Creative idea generation and cross-team communication figure into her daily activities. As a direct mail expert, Sue actively participates in postal industry events, keeping everyone up to date with the latest regulations, trends and insights. Earlier in her career, Sue applied her talents at Reader's Digest Association, Human Rights Campaign, PETA, National Parks Conservation Association, to name a few. Working with design, copy, and marketing, Sue has participated in the execution of many winning direct mail formats. She continues this legacy at Continuum, working hard to innovate our direct mail activities. With two decades of cross-industry experience, this thought leader has held full P&L responsibility for numerous sales and operations teams, both domestic and global – delivering transformative client solutions that transcend regions and extend brand reach. As part of Continuum’s leadership team, John works closely with new and existing enterprise clients to create customer-centric partnerships that include new marketing strategies, alternative technologies and enhanced workflows. He is a proven deal steward with an eye on preparation of the fine details to set up long-term relationships. Prior to Continuum, John served in a variety of senior leadership roles at InnerWorkings from 2012-2018, elevating to Senior Vice President of North American Sales. His career began in print management, having served in various sales and leadership roles at Wallace Computer Services, Moore Wallace, and ultimately serving in the role of Director of Corporate Sales at R.R. Donnelley after two successful M&A periods. Head of our Retail Services practice Lisa's ability to exceed client expectations while staying at the forefront of retail marketing strategies and trends is legendary. Just ask her former clients, a list that reads like a who's who of leading retail brands: Lands End, Whirlpool, L'Oreal, Nokia, and Google among others. With 20 years in the procurement and print management space Lisa is precisely the kind of partner clients want alongside them working in the trenches on a daily basis. Her expertise spans strategic sourcing, procurement and project management of all phases and facets of print production. Experienced in concept development, implementation, cost analysis, distribution management, and supplier management Lisa is uniquely equipped to deliver on both the short term details as well as the long term program goals. Prior to Continuum Lisa was Vice President of Procurement for HH Global providing brand and print management solutions for large retailers and their agencies. Before HH Global Lisa worked at Sears for ten years as a Senior Print Production Manager. Joe is an experienced and proven leader in strategic sourcing and procurement. He has spent over 25 years helping clients reduce costs and increase the efficiencies of their marketing services spend. With a strong background in commercial printing, Joe also has a great deal of experience in sourcing and procuring promotional products, both domestically and overseas. Our clients demand the very best from us and Joe manages one of the teams that makes this happen. The sourcing team is staffed with true industry veterans that have extensive knowledge of every aspect of printing, including book manufacturing, magazines, catalogs, direct mail, retail, and point-of-sale materials. Prior to Continuum, Joe led a team of sourcing and production professionals at other companies. With a focus on retail and consumer packaged goods, Joe was fortunate to work with many industry leading clients. © Continuum 2019. All rights reserved.